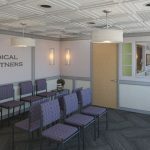 The Ives Architecture Studio worked with this newly formed medical practice comprised of Dr. Michael Gross and Dr. Jason Shatkin to first examine other potential sites before zeroing in on a location at 1 Sears Drive in Paramus. 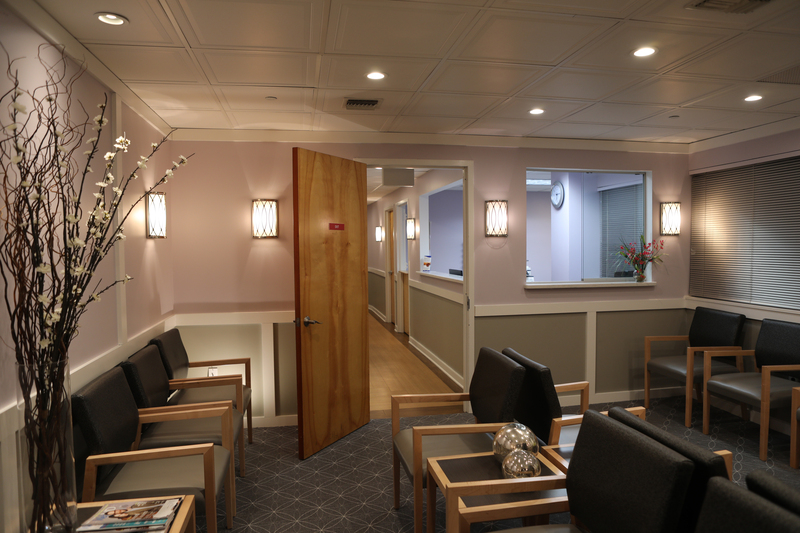 Our staff redesigned the waiting and reception areas to improve the functionality of the space and provide a new contemporary healthcare look for the office. 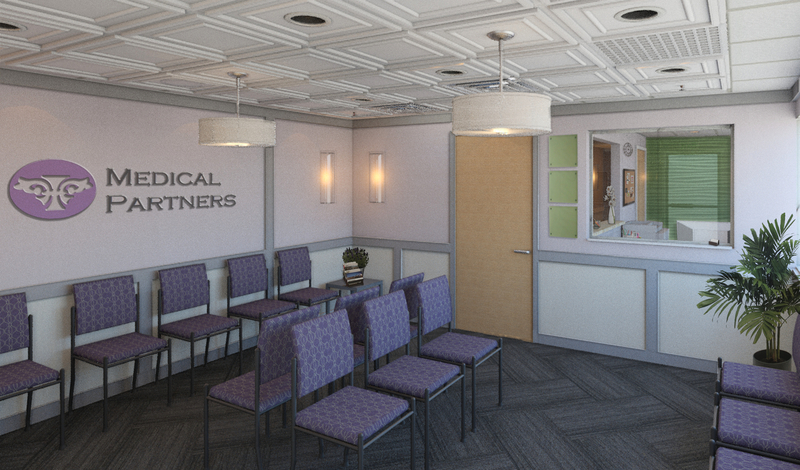 We selected and coordinated finish materials, lighting and furniture and were able to limit new construction so that the budget could be maintained. 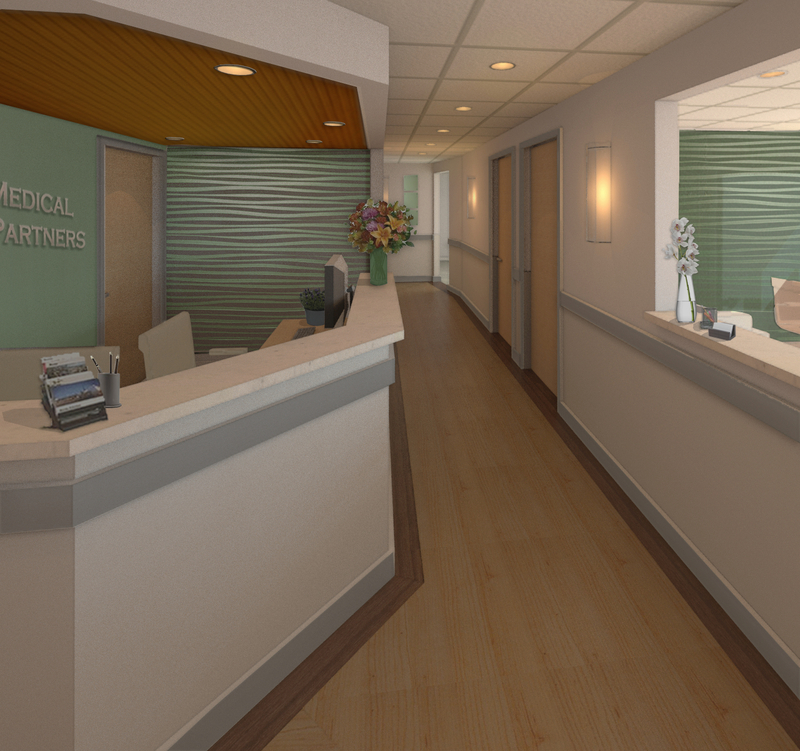 The renderings shown are some of those that were produced during the design process so that informed decisions could be made.